Leo german-english dictionary. Btw: An other dictionary called dict. An ambitious collection of topics and references by Luca Bombelli. Library of Electronic Publications by the Institute of "Time Nature Explorations"
Einstein's classic Annalen paper online! A link on private information on Werner Heisenberg by his son. Among many other things it contains also this text by Rechenberg. Intersting History of Philosophy site. The Proceedings of the Friesian School, non-peer-reviewed electronic journal and archive of philosophy. Hume Studies, philosophy journal of the Hume society. Online papers on consciousness (collected by David Chalmers). 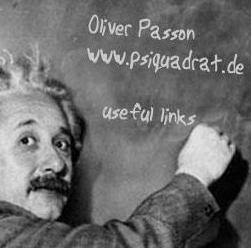 This site contains also an extensive list of philosophers with online papers.